On September 28th, ASTROSAT, India's first orbiting space observatory, was launched from the Satish Dhawan Space Centre in Sriharikota, India. Canada is a key participant in the mission, with Canadian-developed sensors on ASTROSAT itself as well as a Canadian nano-satellite hitching a ride on the rocket as a secondary payload. The Astrosat launch on September 28th. Video c/o DD News. A project of the Indian Space Research Organization (ISRO), the 1,550kg ASTROSAT is the world's first satellite capable of studying the universe in multiple wavelengths of light (x-ray, ultraviolet, and visible) simultaneously. Canada's contribution to ASTROSAT consists of the UltraViolet Imaging Telescope (UVIT), a group of three imagers (2 ultraviolet and one visible light). UVIT will play a key role in ASTROSAT's work since ultraviolet light (along with x-ray light) is the primary wavelength in which exotic astronomical objects such as black holes, neutron stars and quasars can be observed. The contribution will entitle Canadian scientists to observation time on the satellite, allowing Canadian astronomers to conduct unique research. The UVIT is funded by the Canadian Space Agency (CSA) with in-kind support from the National Research Council of Canada (NRC). 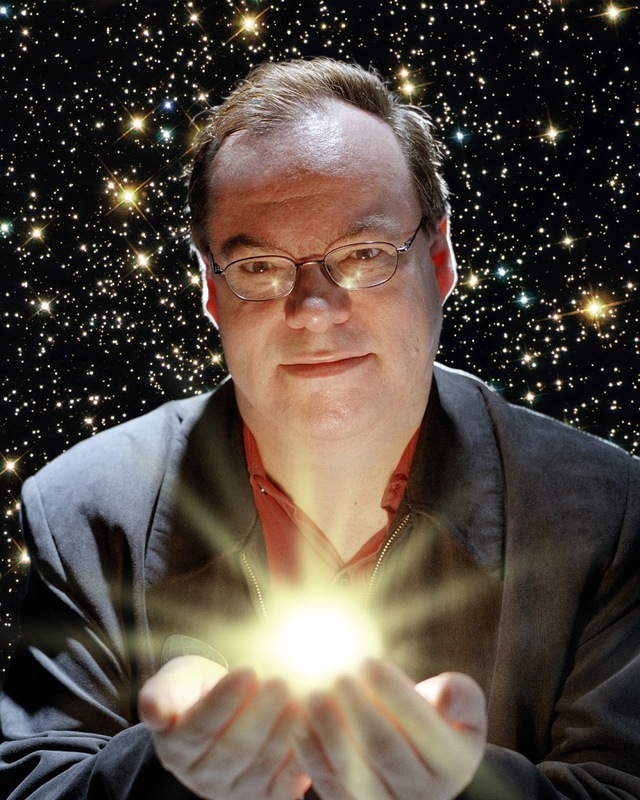 UVIT was developed as a collaboration between the CSA and astronomer Dr. John Hutchings of the NRC. UVIT's prime contractor is Cambridge, Ontario based COM DEV International. A video overview of the ASTROSAT mission. Screenshot an video c/o ISRO. The second Canadian connection is the exactView-9 (Ev9), a nano-satellite that was carried onboard the same rocket as ASTROSAT as a secondary payload. Ev9 is a sea vessel monitoring nano-satellite operated by Cambridge, Ontario based exactEarth Ltd. and built by the University of Toronto Institute for Aerospace Studies (UTIAS) Space Flight Laboratory (SFL), in Toronto, Ontario. Ev9 is the newest member of the company's exactView global ship monitoring constellation, which currently consists of 7 polar-orbiting and one equatorial orbiting satellite (Ev9). Ev9 orbits around the equator every 97 minutes providing expanded and detailed coverage to the busy tropical shipping regions of the world. The launch of ASTROSAT highlights Canada's continuing skill at building the tools that help humans understand both our universe and our own planet. As the owner and founder of Apogee Space Books, the space curator of the Canadian Air & Space Museum (CASM) and a frequent contributor to the Commercial Space blog, author Robert Godwin knows that there is a great deal of disparate information from a wide variety of online distributors like Google, Facebook, Wikipedia, You-Tube, Linked-In, Amazon and others which provide a steady stream of mostly "decontextualized" content chronicling our recent history of space exploration. Author/ publisher Robert Godwin in the Burlington, Ontario based Apogee Books storage facilities checking out a few of the hundreds of boxes of data and documents slated for the eventual inclusion in the Space Library. According to Godwin, while the current Library contains just under 31,000 pages, documents and files, there are another 300,000 hard copies, pages and distinct electronic files which are currently in storage but could be added to the repository. The big problem is funding the tech support and precautionary monthly data back-ups required to keep the library online and functioning. Photo c/o Chuck Black. He thinks that there is a better way to organize and curate the information, which is often biased, incomplete, difficult to corroborate and released through channels which don't provide any incentive for knowledgeable people to share their findings with others. His solution is the Space Library! 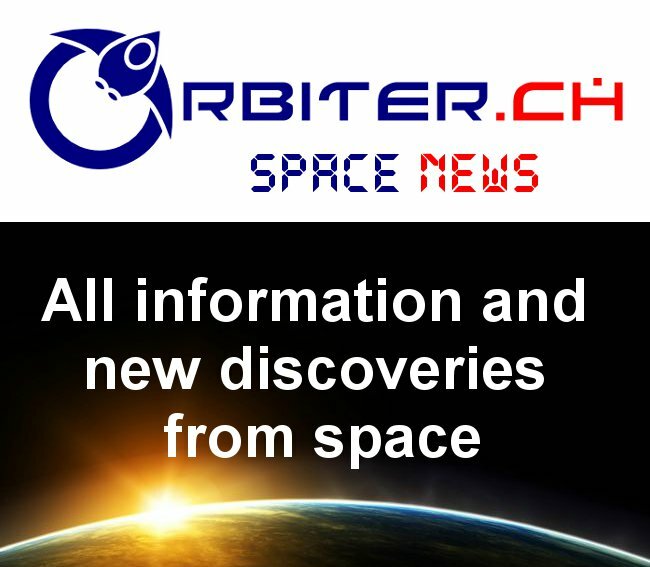 "Knowledgeable people with important information relating to our space history are growing old and dying and their families are simply throwing their documents, files and papers in the garbage," said Godwin, during a recent interview. "The Space Library can provide a way to preserve these documents by incentivising the public release of this information in a way which can be easily understood and used." The Space Library starts with the mediawiki engine, a free software open source package written in PHP (originally for use on Wikipedia) which is infinitely scalable and capable of managing multiple contributors who don't need to know how to write code. The main page of the Space Library highlighting the mediawiki origins of the data container in its graphic design. The current funding model for the Library is the same model used by Ancestry.com, which charges a fee to access genealogical and historical records. Graphic c/o the Space Library. To this wiki container, Godwin added the ability to embed video/ audio and the capability to track citations, authors and users. "We've built a customized hyperlinking mechanism which not only tracks usage and where the new user was referred from but also allows the author or contributor to charge for access and the use of data," said Godwin. The fee for use structure acts as an incentive for contributors, who are paid depending on the number of times their contributions are accessed. Unlike Wikipedia, the Space Library doesn't allow for anonymous credentials to be used by those wishing to gain access. Knowing who wrote an entry will go a long way towards assuring the credibility of the information provided, said Godwin. "Lots and lots of NASA stuff" collected over a period of almost two decades as background material for dozens of Apogee published books on a variety of space focused topics starting with "Apollo 8 The NASA Mission Reports," in November 1998, which was developed at the request of retired astronaut and second man on the Moon Buzz Aldrin. A comprehensive index of NASA 16mm film footage from the 1960's and 1970's along with a listing of NASA still photographs. Godwin hopes to "eventually add a complete index of films and photographs," to the Library. Original journals published in the 1920's from the German Rocket Society; a complete index of Journals of the British Interplanetary Society; and digital copies of the much rarer Bulletin of the British Interplanetary Society, edited by renowned science fiction author Arthur C. Clarke. An appendix to chapter 11 of the June 10th, 1961 NASA document on "A Survey of Various Vehicle Systems for the Manned Lunar Landing System," coordinated by H.O. Ruppe from the George C. Marshall Space Flight Center Future Projects office. The complete document is typical of those available online at the Space Library. A place for patents issued by governments worldwide to space scientists and engineers covering the early years of spaceflight. First generation radio recordings from the early Lunar science conferences and press events. Audio interviews with most of the early leaders of the US space program. Private collections of documents from NASA scientist Don Beattie, Canadian space pioneer Phillip Lapp, filmmaker Michael Lennick, space scientist Fred Ordway and others. Rhett Turner's original Voice of America audio broadcasts covering the Apollo Moon landing, which included interviews with Gus Grissom, Roger Chaffee, and many other rare conversations and press conferences, comments from Apollo 11 astronauts Neil Armstrong, Michael Collins and Edwin "Buzz" Aldrin, plus Don Beattie, the program manager for the Apollo lunar surface experiments, Werner Von Braun, the director of NASA's Marshall Space Flight Center and the chief architect of the Saturn V launch vehicle. Over time, it's also expected that most of the books published through Apogee will be added to to the library. For more information on the Space Library or to sign up go to TheSpaceLibrary.com. To contribute to the project, contact Rob Godwin at Apogee Books. A small, publicly traded Canadian corporation has grabbed the attention of the international aerospace community with unique manufacturing technology, which utilizes lightweight, rare metals and specialty alloys to create parts with improved tolerance to temperature extremes and excellent vibration characteristics. IBC CEO Anthony Dutton outlining the advantages of Beralcast® on the September 17th, 2014 Business News Network (BNN) Commodities program. 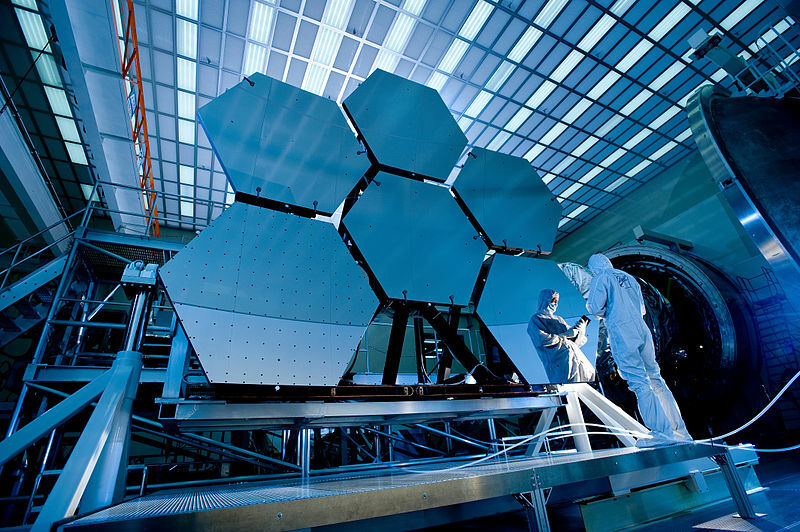 Applications include the manufacture of lightweight components for electronics, industrial, and air and space flight requiring rigidity and high-stiffness across a wide range of environmental conditions, but which have traditionally been manufactured using lower performance and/or higher cost materials such as cast aluminum, magnesium, titanium, metal matrix composites, nonmetallic composites, pure beryllium and/or powder metallurgy beryllium-aluminum. The IBC Beralcast® alloy will be used in the azimuth gimbal of the F-35 Lighting II electrical optical targeting system (EOTS) because of its extreme stiffness, which increases the targeting efficiency of the EOTS, and lowers the cost of manufacture. Screenshot c/o BNN. Last week's announcement that an "unnamed Asian precision manufacturing customer" had placed two orders totaling over $1.2Mln CDN with Vancouver, BC based IBC Advanced Alloys (IBC) for components made out of the IBC Beralcast® castable beryllium-aluminum alloy came on the heels of a September 9th, 2015 order from aerospace giant Lockheed Martin (LM) for F-35 strike fighter components made out of the same material, the third LM order since June 2015. As outlined in the September 21st, 2015 Stockhouse post, "IBC Advanced Alloys (V.IB) locks down two new orders worth more than $1.2 million," the company expects to begin delivery of the finished cast components for this new order in the first quarter of 2016 and expects additional follow-on business once its ability to fulfill orders on time and on budget is verified. According to Chris Huskamp, the president of IBC’s engineered materials division, the company plans to focus initially on the defence market before approaching other industry verticals. He feels the company should be able to ramp up production quickly to fulfill new orders, because of its existing facilities in Franklin, Indiana and Wilmington, Massachusetts. "We have identified a wide range of new opportunities and are engaged with several groups," he said, during a recent interview. Of course, the real secret to IBC's recent success isn't just the marketing plan. It's the technology. Military applications aren't the only applications which use beryllium and could benefit from new technologies focused around the use of lower cost and higher performing beryllium alloys and casting. The James Webb Space Telescope (JWST), seen above, has 18 hexagonal gold plated beryllium sections for its mirrors. The optical systems of the Spitzer Space Telescope are also entirely built of beryllium metal, which holds its shape well in the wide variety of temperatures expected in the highly variable environment of outer space. As outlined in the company sales literature, IBC has built parts, using the Beralcast® family of alloys, for both NASA and the European Space Agency (ESA). Photo c/o Wikipedia. Beralcast® is essentially an alloy of beryllium, aluminum and certain other trace elements which retains the useful properties of beryllium, but can also be cast into complex shapes, unlike beryllium alone, which is brittle and requires substantial machining in order to be formed into anything useful. Machined parts normally cost far more to manufacture and use more raw materials, much of which usually ends up as scrap. According to Huskamp, the casting process for Beralcast® normally uses 98% of the raw materials, which approximately quadruples the efficiency of materials usage compared to machining. In addition, the casting process does not require any post-machined chemical milling. Parts can also be created in weeks, rather than months. "It's not quite 3D printing, but it's almost as good," said Huskamp in a recent interview. "Beryllium aluminum castings have have dramatically altered the cost structure for companies which traditionally used berylium for its excellent thermal conductivity, stiffness, high melting point and lightness." The alloy is even weldable, for defect repair. Current applications include disk drive armatures (the light weight, high stiffness and good heat transfer capabilities of the material allow disk drives to retrieve more electronic data), advanced electro-optic electronic components (like the F-35 EOTS) and virtually any commercial and military application requiring lightweight, and/or high stiffness parts. It will be interesting to see what the company client list looks like in six months. IBC was founded in 2007 to take advantage of the rapidly growing market for advanced and specialty materials. It trades on the TSX Venture Exchange ("IB") and on the OTCQX ("IAALF"). Montreal, PQ. based NorStar Space Data Inc. (NSDI) isn't waiting for the winners of the upcoming federal election on October 19th to revise, review and/or reconfirm Canada's role in space. Last Thursday, the company announced new partnerships with both IBM and Boeing to help build and operate the proposed NorthStar constellation of 40 Earth imaging satellites, which the company intends to place in low Earth orbit (LEO) over the next few years. The company might even have funding for the project. 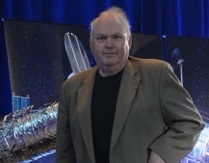 Talbot Jaeger, the chief technologist at Orange County, California based Novawurks, which is expected to build the satellites for NSDI. As outlined in the April 2nd, 2014 You-Tube video "NovaWurks' Hyper-Integrated Satlet - HISat (New Version)," the company intends to build a series of modular and mass producible satellites. Screen shot c/o NovaWurks. As outlined in the September 17th, 2015 Satellite Today article, "NorStar Space Data Inc Gains IBM, Boeing as Partners," the two new Norstar partners "will help handle the ground segment and analytics for the satellite network, which is split between Earth observation (EO) and space situational awareness (SSA) data." NSDI CEO Stewart Bain. Photo c/o NSDI. The idea for the constellation "stemmed from conversations between the United States Department of Defense (DOD) special operations leadership" and KinetX Aerospace, a Tempe, Arizona based engineering design firm which first gained fame from its contribution towards designing ground station components and software for the IRIDIUM satellite constellation. The first public announcement of the project was in April, 2015, when NSDI issued a public statement that it was working on "a revolutionary privately-owned satellite information system designed to manage Earth's natural resources, and track space debris accumulating around the planet." Charles Sirios. Photo c/o Telesystem.ca. As outlined in the April 15th, 2015 Businesswire press release, "NorStar Space Information System Aims to Change How We See Our World," the company initially received support from various Canadian university and research institutes including the Leading Operational Observations and Knowledge for the North (LOOKNorth) and the Visual Analytics Research and Development Consortium of Canada (VARDEC), plus several private firms, including ABB Ltd., satellite designer NovaWurks, and the Nunavut Sealink and Supply Inc. (NSSI) which provides sealift carriage and related services to northern Arctic communities. 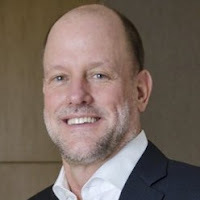 NSDI’s leadership team includes Charles Sirois, the ex-chairman of Canadian Imperial Bank of Commerce (CIBC) and the founder, controlling shareholder, chairman and CEO of Telesystem Ltd., a Canadian private equity company. In the 1990's, Sirois put together financing for Orbcomm (which eventually ended up filing for Chapter 11 protection, in September 2000) and for TRW’s proposed non-geostationary orbit (NSGO) constellation called Odyssey, which was shelved in 1998. The cost of the program is estimated at approximately $3.5Bln CDN and if funding is forthcoming, it will likely arrive through Sirois. After all, he's done it before. 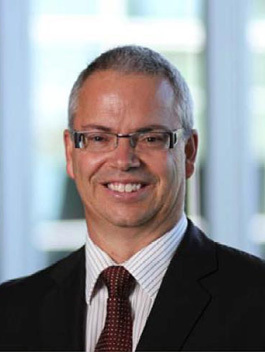 Canadian Space Agency (CSA) president Sylvain Laporte will highlight two days of discussions among Canadian space experts at the upcoming 2015 Canadian Space Summit. The summit, the annual event of the Canadian Space Society (CSS), will be held this year in Vancouver, British Columbia from November 19th to 20th. The theme of this year’s Summit is “Innovation: Bringing Space Down to Earth.” Attendees will discuss how innovations in space have been beneficial to people on Earth and how members of the space community in Canada can bring that message to the public. This discussion is especially relevant at a time when the Canadian space industry is looking to show how important space-based activities are to daily life, and how a growing space industry can bring great benefit to the Canadian economy. 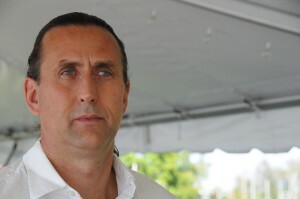 Sylvain Laporte, the president of the CSA - This will be one of the first opportunities for Mr. Laporte to talk publicly about both the future of the CSA and his new role. 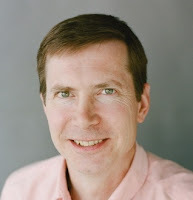 Chris Gainor, author and space historian - Mr. Gainor possesses decades of experience as a space and technology historian and writer specializing in space exploration and aeronautics. He is the author of four books, and his writings have appeared in various specialty publications and Canadian newspapers.. He’s currently working on a book for NASA about the Hubble Space Telescope. 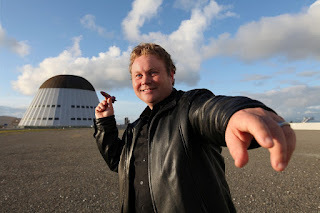 Dr. Jaymie Matthews, professor of astronomy and astrophysics at the University of British Columbia - Dr. Matthews describes himself as “an astro-paparazzo who unveils the hidden lifestyles of stars by eavesdropping on the music of the spheres." He does his astro-snooping using the Microvariability & Oscillations of Stars (MOST) space telescope, on which he is the lead mission scientist. 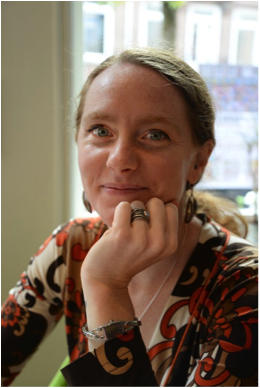 Dr. Cassandra Steer, the executive director of the Centre for Research in Air and Space Law at McGill University - Dr. Steer is an expert on international space law, especially the application of international law to military uses of outer space. 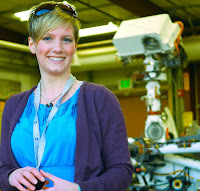 Dr. Glynis Perrett, a research associate in the department of astronomy at Cornell University - Dr. Perrett studies the geochemistry of Martian rocks and soils that have been analyzed by the Alpha Particle X-ray Spectrometer (APXS) instruments on-board the Mars Exploration Rover (MER) and Mars Science Laboratory (MSL) rover missions. Robert Godwin, noted Canadian author, space historian and founder of Apogee Space Books - Mr. Godwin’s award-winning books have been discussed on CNN, the CBC, the BBC and CBS’s 60 Minutes. He’s also an engaging speaker who reveals details of space history events that are unfamiliar to most people. Larry Reeves, the president of Geocentrix Technologies and manager of the Canadian Satellite Design Challenge -As Mr. Reeves describes it, he’s currently "the senior systems non-engineer in an engineering role" at UrtheCast, the Vancouver-based satellite imaging company (it might be worth attending the summit just to find out what that job description means). The 2015 Canadian Space Summit is being held at the Morris J. Wosk Centre for Dialogue in downtown Vancouver, British Columbia. One of the Centre’s notable features is the Asia Pacific Hall, a fully connected, state-of-the-art circular meeting room. Next to the Centre is the Delta Vancouver Suites, the official hotel for the Summit. Special summit rates are available for attendees. With a great venue, interesting speakers, and people from different areas of the space community participating, the Canadian Space Summit is worth attending to find out what’s going on in Canadian space. To get information throughout the fall about the Summit, subscribe to the Summit mailing list. Register to attend the Summit before September 30 and get early bird pricing. Another quote attributed to Laurence Peter. Graphic c/o AZ Quotes. 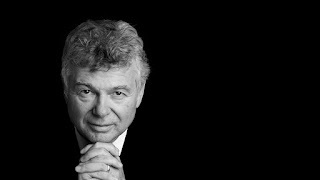 Laurence J. Peter, the Canadian born developer of the "peter principle," who made a career out of studying hierarchical organizations, is generally credited with the saying, "Lead, follow, or get out of the way." For example, on September 14th at the World Satellite Business Conference in Paris, SpaceX announced two new contracts for Falcon 9 and Falcon Heavy rockets. These new orders, along with a well-received recent appearance by SpaceX CEO Elon Musk on The Late Show with Stephen Colbert, indicate that despite recent setbacks, confidence in the company and its founder have not waned. The two contracts are for the launch of a communications satellite for Spanish satellite operator Hispasat, S.A on a Falcon 9 as well as the launch of a Saudi Arabian communications satellite (Arabsat 6A) on a Falcon Heavy. The two missions are expected to launch from Cape Canaveral Air Force Station, Florida between late 2017 and 2018. With these additions, SpaceX now has over 60 missions on its launch manifest representing over $7Bln USD ($9.22Bln CDN) in contracts. Its continued ability to attract new clients as well as its founder's ability to evoke admiration from both audiences and notorious media personalities are testaments to the continuing strength of Elon Musk's enterprise. SpaceX CEO Elon Musk bantering with host Stephen Colbert on the September 9th, 2015 edition of The Late Show With Stephen Colbert. 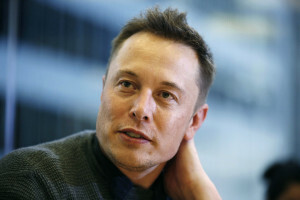 During the interview, Colbert questioned Musk's stated goal of settling Mars, citing the planet's inhospitable climate. Musk's reply was that Mars was “definitely a fixer upper of a planet” and suggested a fast way and a slow way to make Mars habitable. The fast way would be to drop nuclear weapons on Mars' poles, freeing the ice and water there. Musk's "slow way" to terraform Mars would be to introduce greenhouse gasses like CO2 into Mars atmosphere over centuries. Tellingly, Musk's statements weren't ridiculed by the notoriously snarky host who finished up the interview by stating that Elon Musk was definitely the man to change the world for the better and wished him the best of luck. Screen shot c/o CBS.com. But Musk isn't the only entrepreneur in action this week. As noted in the September 15th, 2015 Space.com article, "Jeff Bezos' Blue Origin Will Launch Rockets and Spaceships from Florida," there is at least one other flush billionaire looking to make a bit of money off the high frontier. Jeff Bezos. Photo c/o Getty. 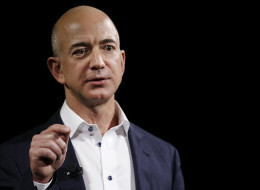 According to the article, Jeff Bezos, the founder of private spaceflight company Blue Origin and founder and CEO of Amazon.com, has announced that Blue Origin will make Florida's Space Coast its home port for building and launching reusable rockets. The company intends to lease the historic Launch Complex 36 at Cape Canaveral Air Force Station in Florida, in order to establish a "21st century production facility" to build a reusable fleet of orbital vehicles to launch from the refurbished site. Florida Governor Rick Scott, in attendance for the announcement, praised the venture, which he said will "invest $200 million locally and create 330 jobs." Blue Origin will be sharing the complex with Mountain View, California based Moon Express, a company formed in 2010 by Canadian expatriate Robert Richards, Indian born Naveen Jain and local boy Dr. Barney Pell. Robert Richards. Photo c/o Forbes. But Blue Origin and Moon Express, along with SpaceX, are only three of the many private companies in the race to offer commercial trips to space for passengers and technology. For example, as outlined in the September 5th, 2015 Space.com post "Boeing Opens Renovated Shuttle Facility for 'Starliner' Crewed Space Capsule," Boeing has just opened up a facility for its new CST-100 Starliner space capsule. NASA plans to use the Starliner capsule and SpaceX's Dragon capsule to launch US astronauts to the International Space Station (ISS) beginning in 2017. Others are also involved in the jockeying for position to reap the massive profits expected to accrue to the winning player. The September 16th, 2015 Reuters post, "Boeing rejects Aerojet Rocketdyne bid for ULA launch venture," focused on a failed $2Bln USD take over of the 50-50 rocket launch venture between Boeing and Lockheed Martin Corporation, which until recently had a monopoly over the lucrative US government market for military launches, is a recent example. Screen grab from a 2011 MDA on orbit-satellite servicing proposal. As outlined in the March 11th, 2011 MDA press release, "Intelsat Picks MacDonald, Dettwiler and Associates Ltd. for Satellite Servicing," the company had originally entered into an open ended agreement with Intelsat S.A., then the world's leading provider of fixed satellite services, to commercialize Canadian technology developed through the Canadian Space Agency (CSA) as part of the Canadarm development program. But only nine months later, as outlined in the January 12th, 2012 post, "MDA Satellite Servicing Agreement with Intelsat Expires," the contract lapsed over concerns about whether or not the Canadian firm would be allowed to bid successfully on US government agency contracts. Six months later, as outlined in the June 27th, 2012 post "MacDonald Dettwiler buys Space Systems Loral for $875M," the beleaguered Canadian company created a second opportunity to resell the fruits of its previous projects and obtain compliance under the very restrictive US regulations governing the International Traffic in Arms Regulations (ITAR). Screenshot c/o MDA. Of course, not all Canadian individuals and organizations are completely locked out of US based NewSpace opportunities. At least one Canadian firm, or at least its US based subsidiary, remains in the race. On Aug 26th, leading commercial satellite maker Space Systems/Loral (SSL) announced that it has been awarded a contract by the US Defense Advanced Research Projects Agency (DARPA) to develop on-orbit robotic assembly of communications satellites. The move comes on the heels of other recent initiatives to assemble satellites in space rather than on Earth, at lower cost and with faster deployment time. The program, called 'Dragonfly,' is centered around the idea of satellite components being stored inside a standard rocket payload fairing and launched into orbit where they would self-assemble into a functioning satellite. By this method, Dragonfly would enable satellites larger and more capable than traditional ones that could not otherwise be launched. 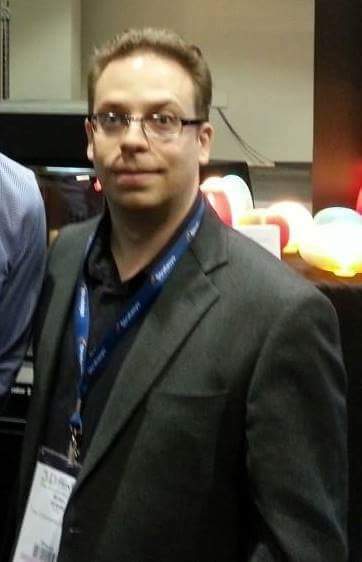 MDA CEO Daniel E. Friedmann. As outlined in the May 12th, 2015 post, "MacDonald Dettwiler, Sherlock Holmes and Why "Daddy" Might not Love Either," the quarterly MDA earnings conference call is simply not complete until Friedmann has had the chance to complain about the lack of federal government support for his company. Photo c/o MDA. SSL, a wholly-owned subsidiary of Richmond, BC based MacDonald Dettwiler (MDA), will leverage its parent company's extensive experience in space robotics and communications to implement the Dragonfly concept. Dragonfly's initial focus will be on the construction of large radio frequency (RF) dish antennas, which could enable communications satellites with dishes as large as Earth-based ones. The Dragonfly program will have a five-month initial phase during which SSL will need to demonstrate how on-orbit assembly could lower satellite cost and mass while enabling higher performance. SSL is As part of this effort, SSL has submitted a proposal to NASA for collaboration on taking the Dragonfly concept to a ground demonstration and then a flight application. The entrance of an established player like SSL/MDA into orbital satellite assembly is a recognition of the field's great potential. As competition increases, so too will innovation. The march of spacecraft and launch vehicles towards standardization and affordability will be the engine that propels the space industry forward. But, of course, not a single one of the items presented above are dependent on generating another committee tasked with formulating government policy. The entrepreneurs and Americans are so far ahead that the only "real" option for any potential future Canadian government task-force is to "lead, follow, or get out of the way." Of those three options, and especially given our lacklustre political leadership in all matters "space" up until now, the second and third are the only ones which currently seem feasible or of any use to the entrepreneurs. Part 1: Abandoning the Emerson Aerospace Review? While All Can Contribute, Not Everyone Will Get into the Final Report! No doubt, it's a good thing that the space industry has climbed far enough up the news cycle to get noticed on page three of the Sunday Toronto Star, especially during a federal election. But it might be a bit premature to expect reasoned discussion on this topic, especially in the "mass" media, without some additional context. A scanned copy of the lower section of page three of the September 13th, 2015 Toronto Star. 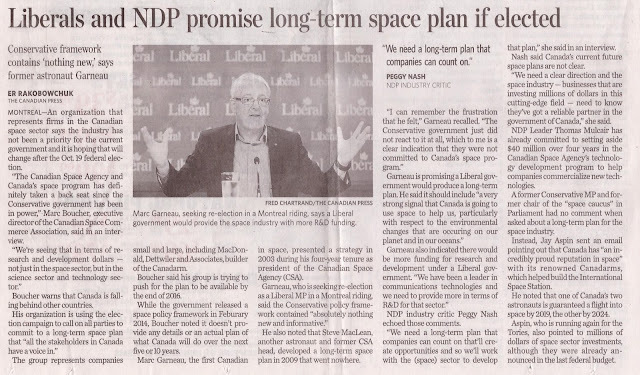 As outlined in the article, both the federal NDP and the federal Liberal party have committed to developing a long-term space plan (LTSP) before 2016. But as reported in the January 19th, 2013 post, "Praising Steve MacLean," the last LTSP, developed in secrecy by then Canadian Space Agency (CSA) president Steve MacLean in 2009, was rejected by the federal government because of its high cost, and finally superseded by the David Emerson led aerospace review in 2012. Scan c/o the Toronto Star. 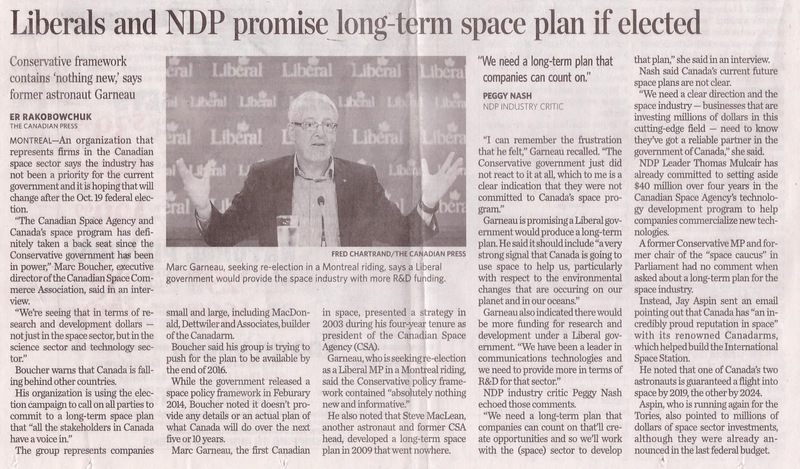 After all, the September 12th, 2015 Canadian Press article, "Liberals and NDP promise Long-Term Space Plan, if elected," failed entirely to even mention the 2012 David Emerson led aerospace review, the most current of the various federal government political exercises designed to allow "all the stakeholders in Canada" to have a voice in future aerospace activities. 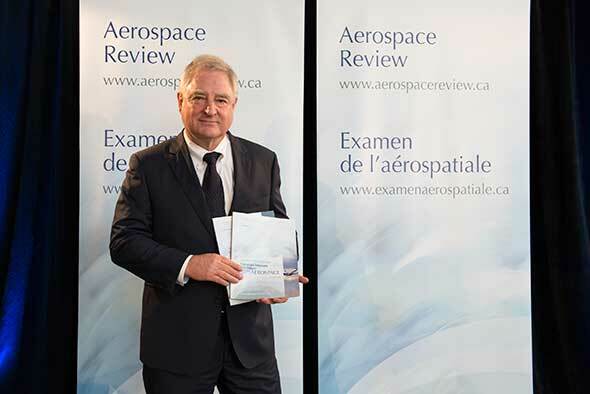 As described in the December 5th, 2012 post, "What the Space Volume of the Aerospace Review Actually Says," the 2012 aerospace review, organized in conjunction with the Aerospace Industries Association of Canada (AIAC) was originally released to generally positive comments from those involved. All submissions to the 2012 review along with the final reports were released to the public on the Aerospace review website, unlike the 2009 Steve MacLean long-term space plan, which was referenced in the Canadian Press article, but created in secret and never publicly released. PDF document c/o Aerospace Review website. Blackbridge - The owners of the RapidEye Constellation of five commercial Earth imaging satellites and attendant support facilities. As outlined in the July 24th, 2015 post "Bye, Bye, BlackBridge," the company was purchased by San Francisco, CA. based Planet Labs Inc. for an undisclosed amount earlier this summer. Canada 2020 - A partnership including the Monk School of Global Affairs and the University of Toronto, focused on building an Ontario aerospace cluster. The Canadian Alumni of the International Space University - A private, non-profit association of 275 members which serves as “Canada’s launch pad for tomorrow’s leaders” and also helps to promote the International Space University (ISU) in Canada. The Canadian Association of Defence and Security Industries - The national voice of more than 1,000 member companies operating in the defence and security industrial sector. The Canadian Auto Workers (CAW) - Currently a component of UNIFOR, created from the 2013 merger with the Communications, Energy and Paperworkers Union of Canada and the CAW, the organization represents aerospace workers at Boeing Canada, Bombardier/ de Havilland, Cascade Aerospace, CMC Electronics, Magellan Aerospace and Pratt and Whitney Canada. The Canadian Satellite Design Challenge Management Society (CSDMS) - The organizers of this Canada-wide competition for teams of university students to design and build a small science research satellite recommended the "institution of a series of Canadian design competitions in order to promote investment into, expertise in, and development of, innovative new technologies, processes, products and applications for the aerospace and space sectors." The Canadian Space Commerce Association - which contributed three papers to the review and was even cited in volume two of the final Emerson report. The Canadian Space Society (CSS), the organizers of the upcoming 2015 Canadian Space Summit, which will be held in Vancouver, BC from November 19th - 20th and is expected to include current Canadian Space Agency (CSA) president Sylvain Laporte as keynote speaker. The review also included private submissions from two of the "three kings," or largest Canadian space focused companies, Cambridge, ON based COM DEV International and Ottawa and ON based Telesat Canada. The third king, Richmond, BC based MacDonald Dettwiler (MDA) was also represented in the review. MDA senior executive Dave Caddey acted as the chair of the Emerson Space Working Group, which contributed a document under the rather pedestrian title of "Space Working Group Report, 2012." And this leads to the real problem with the 2012 Emerson report. The Honourable David Emerson, the head of the 2012 Aerospace Review, during the public release of the report in Ottawa at the Canadian Aviation and Space Museum on November 29th, 2012. Most reacted positively to the its release, as outlined in articles like the November 29th, 2012 press release "Ryerson University Welcomes Emerson Aerospace Review Report." Photo c/o Aerospace Review website. Some of the individual recommendation will contradict others and not all recommendations will make it to the final report. While contributions to the Emerson report were welcomed in 2012, not every specific contribution to the report was included in the final list of recommendations. This wasn't the fault of Emerson. All government commissions are eventually expected, after sifting through the various submissions, to publish a series of coherent conclusions which will either be embraced or ignored by the government of the day. But chief among the ignored recommendations were those incorporated into the Emerson Space Working Group, chaired by Caddey and generally conceived to have been representative of the views of the senior executives working at MDA. The specifics of how the final report differed from the Working Group report and the logical consequences to Canada's largest space company of having its recommendations largely ignored by the federal government, will be the subject of our next post on "Growing or Shrinking the CSA: How and Why the Emerson Space Working Group Report Differs from Volume Two of the Final Emerson Aerospace Review." The outgoing Grant Bonin. Photo c/o Deep Space Industries. Another experienced, Canadian trained aerospace engineer has moved to milder climates with greater opportunities. 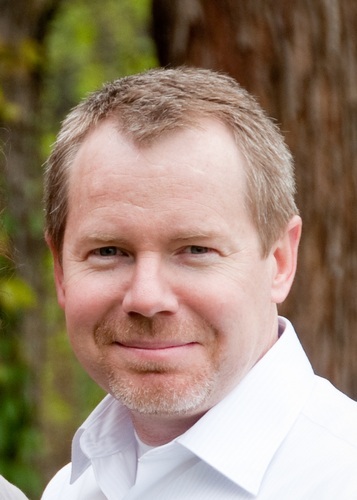 Grant Bonin has joined asteroid-mining company Deep Space Industries (DSI) of Moffett Field, California, as chief engineer. Mr. Bonin had been the manager of satellite missions at the University of Toronto Institute for Aerospace Studies (UTIAS) Space Flight Laboratory (SFL). In his new role at DSI, he will lead the development of new space systems and technologies for both the company's satellite customers, and for DSI's long-term plan to mine asteroids. As outlined on the UTIAS-SFL website, the organization has contributed to a great many satellite programs over the last decade. These include the Greenhouse Gas Satellite Demonstrator (GHGSat-D), the Maritime Monitoring and Messaging Microsatellite (M3MSat), the Microvariability and Oscillations of STars (MOST) satellite (widely known as the "Humble" space telescope) the NORSAT-1 micro-satellite (hailed in Norway as its "first scientific satellite"), the various AISAT's and the CAN-X program of micro-satellites and quite a number of others. 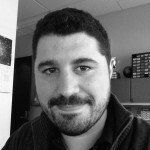 As outlined on the September 9th, 2015 DSI press release, "Respected Nanosat Leader Joins Asteroid Mining Team," Mr. Bonin's has experience managing "11 successful spacecraft in Earth orbit." These include "the SFL’s highly successful CanX-4&5 mission, which demonstrated sub-meter autonomous formation flight on orbit. Grant (Bonin) also assisted with SFL’s business development activities and the design of new mission concepts, and leading all propulsion R&D activities." A screenshot from the DSI website showing the sort of projects the company is attempting to generate. As outlined on the website, DSI is "changing the economics of the space industry by providing the technical resources, capabilities and system integration required to prospect for, harvest, process, manufacture and market in-space resources. These resources, found on easily accessible near earth asteroids, will provide unlimited energy and supplies for a growing space economy." Graphic c/o DSI. Although Mr. Bonin's departure is a loss for Canadian space, we can be confident that bright young minds from programs like UTIAS and other universities in Canada will step up and carry on. The possibility of a third contestant in the Space Race, in the form of a Commonwealth space program, hinged on the sharing of technology and financing amongst the various invested nations, but more significantly on the political choices made regarding the future defensive postures of Canada, the United States and the United Kingdom. One of the options being considered for the bus for Canada's proposed radar satellite was the British heavy geostationary platform L-Sat. SPAR Aerospace in Toronto, where Phil Lapp had been a director, had an agreement with British Aerospace to solicit orders for L-Sat in Canada. Radarsat had originally been called Sursat (Surveillance Satellite) but the name had been changed out of concerns that it might upset the United States. The primary goal of the proposed satellite was to eliminate the need for thousands of costly aircraft flights required to monitor traffic through Canadian Arctic waters. Clearly both the intent and the execution were primarily motivated by military concerns. But both Lapp and Geoffrey Pardoe's companies could see benefits to sharing the costs and rewards with Britain since the satellite's orbit would cover vast swathes of territory also of interest to British oil and gas companies. After considerable effort and some salesmanship it looked like Britain would shoulder several hundred million dollars of the cost but would also reap the benefits to the tune of a $197M contract and at least a thousand jobs. Data processing, sales and other tracking responsibilities would also provide rewards. Other contestants in the field to supply the bus were Rockwell, RCA, Lockheed, General Electronics and Matra. TO READ ALL THAT YOU HAVE MISSED OF THE EMPIRE STRIKES OUT, PLEASE CONSIDER SUBSCRIBING TO THE SPACE LIBRARY. FOR ONLY $5 YOU GET ACCESS TO 30,000 PAGES OF SPACE INFORMATION AND HUNDREDS OF HOURS OF AUDIO AND VIDEO. HELP SUPPORT THE COMMERCIAL SPACE BLOG. Last Week: "The Diefenbaker Government Falls," in part eight of "The Empire Strikes Out - Canada's Defence & The Commonwealth Space Program." 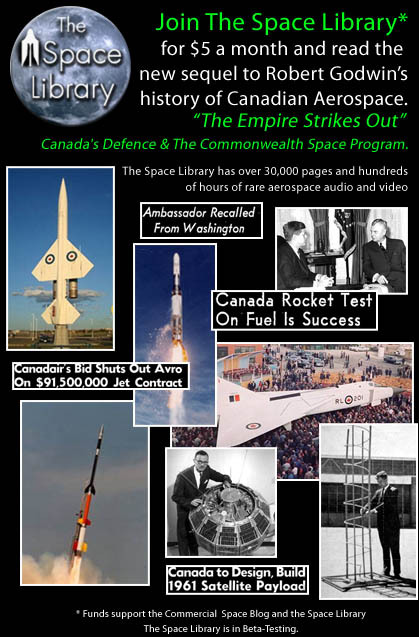 To Start at the Beginning: Check out "The Beginning; How to Build a Space Program & the Canadian Astronautical Society," the first chapter of "The Empire Strikes Out - Canada's Defence & The Commonwealth Space Program." Dave Caddey. Photo c/o AIAC. As outlined in the November 19th, 2014 Aerospace Industries Association of Canada (AIAC) post, "2014 James C. Floyd Award Recipient for Aerospace Excellence," Mr. Caddey joined MDA in 1986 as project manager for all "major programs within the company." Given the broad mandate of the original title, it's no wonder that, by 1997, Caddey knew most of the operational details of MDA projects and had a more than passing acquaintance with the intricacies of their funding mechanisms. 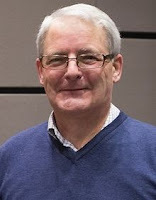 After periods as vice-president and general manager in both the fast growing MDA geo-information division and in the space and defense systems division, Caddey became the program manager for RADARSAT-2, in 1998. The following year, he was again promoted, this time to executive vice-president and general manager of the MDA space missions group, which was formed following MDA’s acquisition of Spar Aerospace’s Robotics Division. Caddey was finally promoted to president of the MDA space missions group in 2002, but in 2004 he moved back into the special projects role, this time at the VP level. With one exception, a short stint as executive vice-president of and general manager of MDA’s surveillance and intelligence group from 2012 - 2014, Caddey remained the senior MDA troubleshooter until his retirement last year. Dave Caddey presenting at the 2012 Innovation Nation Conference and Robotics competition, which was held in Huntsville, Ontario from July 9th - 10th, 2012. To view the complete presentation, please click on the image. Video and screenshot c/o InnovationNationCSII's channel. From 2000 until 2014, Caddey fulfilled various roles on the AIAC board of directors and chaired the space working group during the 2012 Emerson aerospace review. As outlined in the July 22nd, 2013 post, "Whatever Happened to the National Aerospace and Defence Framework?" Caddey was also involved in the 2007 National Aerospace and Defence Framework, another federal government review headed by David Emerson which, in so many ways, served as the test run for the later Emerson aerospace review. More recently, as outlined in the June 1st, 2015 Defence Watch post, "Conservative government appoints defence procurement panel," Caddey was appointed to the first federal independent review panel for defence acquisition, an "expert third-party panel,” created to review and assess requirements for all Department of National Defence (DND) projects valued over $100Mln CDN. Marc Garneau. Photo c/o Wikipedia. Prior to joining MDA, Caddey spent 19 years holding down a variety of technical and operational positions in the Royal Canadian Air Force (RCAF). This gave him a point of commonality with astronaut and colleague Marc Garneau, who served as president of the Canadian Space Agency (CSA) from 2001 until 2005. I worked with him on RADARSAT-2 and on other programs. We both had backgrounds in the military and similar mindsets. He was down to earth, direct and unlikely to beat around the bush when there were important issues needing to be dealt with. Jim Quick. Photo c/o AIAC. Dave Caddey was a leader, visionary and dear friend to many of us, and we are all mourning his sudden, tragic passing. Dave was a major contributor to the development of some of Canada’s most advanced space systems projects and achievements over the last three decades, and his influence was felt across the industry. He was a long-standing AIAC Board member who held roles as board chairman, honourary treasurer, chair of the AIAC finance and audit committee, and chair of the space committee and the space working group during the Emerson review. For all of those contributions and more, it was our great pleasure to award him a James C. Floyd Award for Achievement in Aerospace at the Canadian Aerospace Summit in Ottawa last November. Dave leaves behind a legacy which most of us in this industry only aspire to. He will be deeply missed. Don Osborne. Photo c/o MDA. Dave Caddey was an extraordinary person that will be profoundly missed. He leaves a remarkable legacy that will continue to significantly impact the space industry and MDA. His leadership, vision, tenacity and courage are renowned, but it is his wonderful sense of humour and passion to mentor that is at the forefront of what we will remember. It is difficult to even find the words to pay tribute to Dave Caddey. Recognizing that he made such a huge contribution to Canada's space program is only part of his story. Wade Larson. Photo c/o Twitter. He was a good man, fundamentally decent, generous, and principled. He loved to tell jokes and he loved to laugh. He was a leader, mentor, role model and friend to so many people. All things considered, Dave Caddey has provided as important a legacy to Canada's aerospace industry as any one of us is truly capable of. What Waterloo Engineering Dean Pearl Sullivan Really, Really Wants! Dean Sullivan. Photo c/o U of Waterloo. The Dean of the Canada's largest engineering faculty is leading the charge to raise $70Mln CDN to "educate the engineer of the future" as part of the University of Waterloo Engineer of the Future campaign. 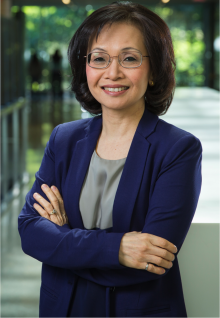 "We don't want to just expand our numbers," University of Waterloo Dean of Engineering Pearl Sullivan said during a recent interview. "If you really want a good engineer, one who possesses cross-functional skills and capabilities, you need someone who understands the physical world and how scientific theories and the mathematical calculations one learns as an engineering student relates directly to this world." To this end, Dean Sullivan, the first woman to hold the post and only the fourth across Canada ever to head a Canadian engineering faculty, is in the midst of a three year campaign to raise money for a new campus engineering building, establish new research groups focused on "emerging and disruptive technologies," increase graduate scholarships and enable students to pursue their aspirations outside the classroom. 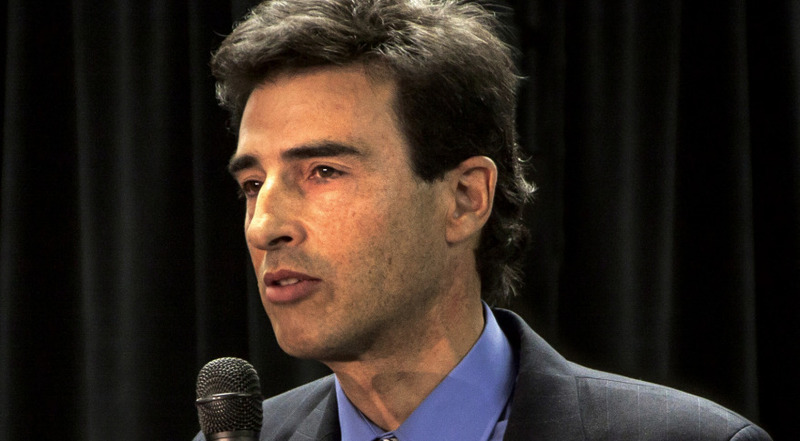 As outlined on the University of Waterloo Educating the Engineer of the Future campaign website, the three year campaign, kicked-off in April 2015, will not just focus on funding physical assets. According to the website, the campaign will instead focus on providing a unique education to engineering students, highlighting research programs which leapfrog the competition and strengthen Canada's economy, to encourage entrepreneurship and provide icons to spark the imaginations of future engineers. Dean Sullivan also has some strong opinions relating to academic integrity and the necessity of engineering graduates being able to communicate effectively with those outside of the engineering profession. Sullivan, whose five-year term as dean began on July 1 2012, has already had a distinguished academic career. Arriving in Canada in 1980, she earned a bachelor of engineering with distinction and a master of applied science in metallurgical engineering from the Technical University of Nova Scotia, which was later merged into Dalhousie University. In 1990, she received her PhD from the metals and materials engineering department at the University of British Columbia (UBC). In 2006, she became chair of the Mechanical and Mechatronics Engineering Department at Waterloo and in 2013 she became Dean. 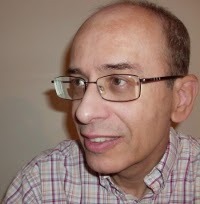 "I started off in 2004 as a professor of mechanical engineering at Waterloo. I was looking forward to living happily ever after as a regular faculty member, but my colleagues had different plans for me," she said. 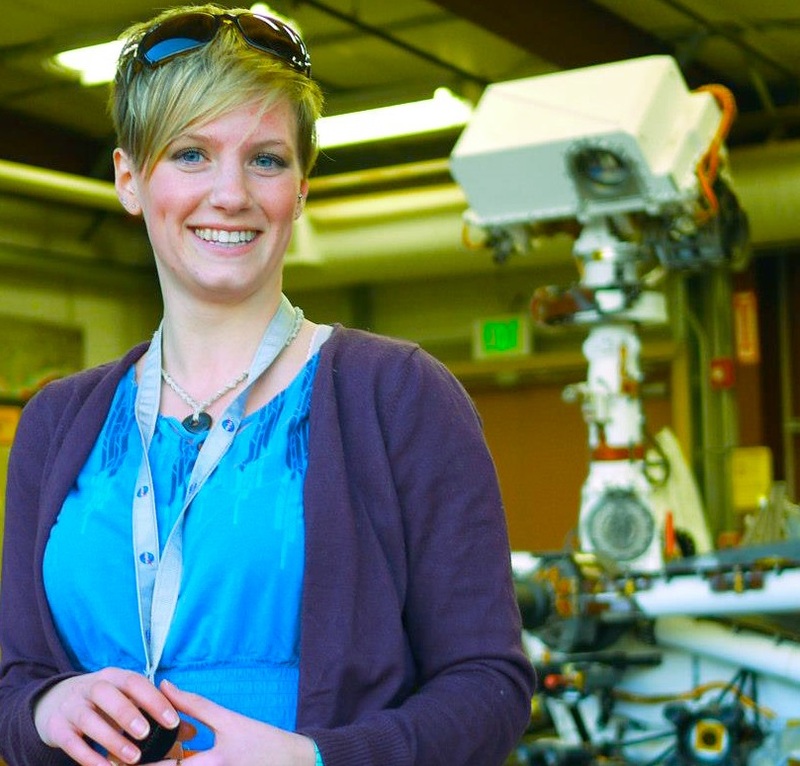 Her appointment coincided with some interesting comments from Elon Musk, the billionaire founder of Tesla Motors and SpaceX, who was at the time becoming well known to the space industry, and not just for the comments in his choice of Canadian university for undergraduate work. It was a close call for me between Waterloo and Queen’s (Queen's University in Kingston, Ontario). I was going to do physics and engineering at Waterloo, but then I visited the campus… and, you may not want to print this… but there didn’t seem to be any girls there! So, I visited Queen’s, and there were girls there. I didn’t want to spend my undergraduate time with a bunch of dudes (so he went to Queens). The situation has does seem to have changed and the focus of the current dean of the faculty is on the growing demand for engineers capable of effectively contributing to a wide variety of growing societal problems. And there has been a certain amount of success in this area. ""We currently have the second largest number of co-op students, or locally known as interns, hired in Silicon Valley of any university after the University of California at Berkeley," according to Dean Sullivan. Imagine small teams of students unravelling the mysteries of…a coffeemaker? Or watch students break out in a sweat as they struggle to construct their very first brushless DC motors and in the process finally “get” the power of copper wire and magnets. How could these seemingly simple engineering tasks lead to advancing the frontiers of human knowledge? Because it is these types of hands-on, open-ended activities that spark intellectual curiosity and ingrain engineering concepts that no ordinary lecture could hope to achieve. It’s self-learning and exploration in an environment where students acquire good engineering practices and gain an appreciation between the courses in their curriculum. They enthusiastically exercise their creativity, use their judgment and flex their problem-solving skills while building the essential communication and team skills that turn a good engineer into a great engineer. Of course, the process, and the fund raising requirements associated with the success of the process, are ongoing. In essence, Dean Sullivan wants Waterloo’s engineering education model to "bring Canada to the world stage." There are no better ways to do this than by offering an environment to “experience early, incubate (ideas) early and innovate early” as envisioned by Dean Sullivan. Here's wishing her luck. To contribute to the University of Waterloo Engineer of the Future campaign, please check out the website at https://ecommunity.uwaterloo.ca/EngineeringCampaign2015.